Completely tailored custom plugin development optimised for your WooCommerce store. 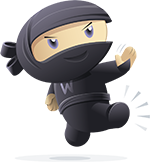 Enhance and optimise your site’s performance with our custom WooCommerce Plugins service. It could be something small, or a plugin that drastically changes how your site performs. It doesn’t matter what the functionality is, we can achieve exactly what you need. The vast majority of our plugin development work is custom-built so we have had a lot of time to experiment and educate ourselves in the process. Our expert WooCommerce specialists will customise your store with any kind of feature or augmentation you require. With over twenty years of development experience, we possess all the knowledge and skill required for your custom plugin development needs. Feature-rich WooCommerce plugins will improve your online store and introduce modern functionality to an otherwise static website. All of our developed plugins will be optimised to perform seamlessly with the rest of your site, meaning we will not slow it down or cause loading issues. For more information on how we can help you develop a plugin for your WooCommerce store, get in touch using the contact form below. We will get back to you very soon, or alternatively you can call us on 01257 752505.